A good presentation can be spoilt by the use of a few badly timed clichés. George Dixon looks at the top 10 presentation clichés to avoid. There’s nothing wrong with pointing out your past efforts and accomplishments; in fact, it can be a crucial part of your presentation. But unless the topic at hand is hypnotism, avoid this cliché like the plague; it will serve only to set eyelids drooping fast. Remember: the audience will forgive many things, but being boring isn’t one of them. Stand out from the crowd by putting your point across in a way they haven’t seen before. There are few things more irritating than sitting through a presentation in which, every fifteen minutes, the speaker sees fit to spawn a hideous new demi-word into existence. Prize examples include “irregardless”, “informational” and, of course, “interpretate”. As long as your message is put across in an articulate and effective manner, avoiding unfamiliar expressions and words you’re not comfortable with is not a problem at all; becoming a Doctor Frankenstein of the English language most certainly is. 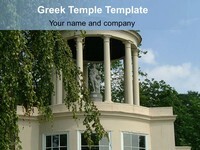 The temple slide is one of the most overused and least stimulating images you could display during your presentation. Rather than acting as a symbolic source of inspiration, the use of the temple is now seen as a gesture of dispassion, of laziness and of false optimism. Instead, try using a unique graphic. For example, if your company logo is an orange, why not implement your core values into a diagram of this? The skin, the peel, the seeds and the flesh could represent different parts of your business model. 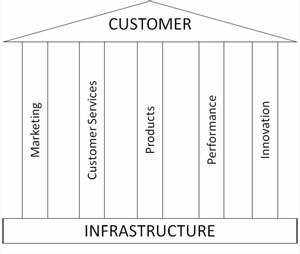 Personalising your diagrams in this way will give your audience a more intimate understanding of your company values, and prove far more memorable than a temple diagram ever could. Of course, nobody intends for this phrase to be taken literally, but there are many more effective ways of expressing passion than churning out overused old idioms that make no sense. 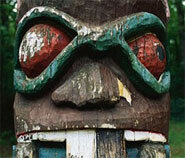 To the audience, this expression spells out a subconscious admission that things have not gone entirely to plan. Remember, humility is a virtue; everybody makes mistakes, and if things could have gone better or you’ve identified areas for potential improvement, you can say so without fear of being judged. Who knows, your audience might just feel refreshed to be offered the good old-fashioned “100%” for once. If you want to draw your audience’s attention to a specific section of a slide, try de-highlighting the less important sections by using inconspicuous fonts and colours, or placing a translucent object in front of the less significant parts of your projection sheet. Unless you have a serious problem with employee productivity, this is an expression to steer way clear of. As innocent as the cliché seems, it’s often seen to have distasteful implications. By asking your audience to do more, you’re implying that they don’t do enough already, that they somehow dedicate several hours a day to twiddling their thumbs and wondering what they can’t be bothered to do. Remember, your typical audience is set in a comfortable, productive daily routine – a routine that acts as scaffolding to his or her chalet of accomplishment. Remove the scaffolding, and the employee’s performance will tumble. Be it the Happy Family, the Corporate Business Woman or any other clichéd photo you’ve seen a hundred times before, the use of stock photography reeks of unoriginality. Consider what all stock-photos have in common: smiles, laughter and never-ending pats-on-the-back. In other words, exaggerated optimism and ignorance of the reality that your corporation, like all others, has its problems – if it didn’t, there’d be no need for a presentation in the first place. By hiring a professional photographer to fire off some original snaps or even taking to the camera yourself, you can inject a healthy dose of personality into your images and remind your audience (and yourself) that you’re not just another corporate bureaucrat but a down-to-earth individual with real values and a real vision for the future. But you would say that, wouldn’t you? This type of assertion can often prove counter-productive; if you need to affirm something that should go without saying anyway, the audience may well begin to question your sincerity. Giving your audience some impressive statistics and examples of your past accomplishments will make your point better than this tired old expression ever could. 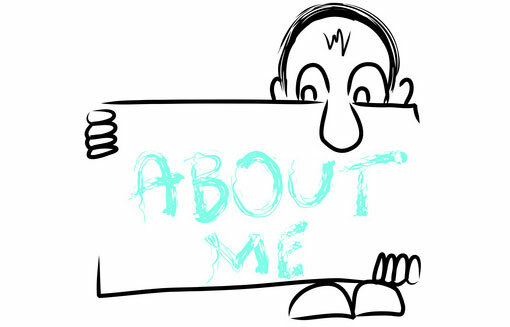 Just what is it about Clip Art that makes presentation attendants gag and cringe? The patronisingly bright colours and Beano-esque caricatures? The condescendingly conspicuous thought bubbles and punctuation marks? 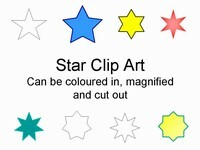 Whatever the case, Clip Art is to a presentation as mice are to a cheese factory. It screeches unoriginality and will devour your reputation from the inside out. 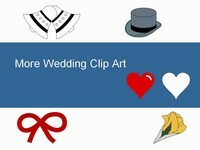 We have lots of Clip Art on our site – all very original. 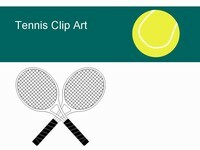 Click here to browse our selection of clipart. Found to be Britain’s most annoying cliché in a 2004 study by the Plain English Campaign, this is one expression certain to run your reputation into the ground. And if that’s your intention, why stop at the phrase? You may as well expedite your downfall by whipping out the zany bow-tie and novelty glasses at the same time. It’s important to remember that the brain pays attention to the unexpected, so find original and refreshing ways to articulate your points. Not only will this ensure that the audience’s attention rests firmly on the subject at hand, it will also help mark your place as a unique, genuine and creative presenter. Give your audience something to remember you by with a hearty dose of originality, and make a name for yourself as a presenter who not only informs but enthrals and impassions, too. Do you have any other presentation clichés that you think are worth avoiding? Please share them in the comments box below. brilliant, insightful and useful. great tips… thanks. Excellent post, George. While one would likely never see all of these clichés in a single presentation – but wouldn’t that be something to behold? – the fact is that a good presentation can be ruined, or at least diminished, by the use of just a couple of them. I will be sure to pass this page along. Interesting points made in the post. Especially liked the idea of using analogy (like orange) to make slides and presentation different. If the presenter shows that he takes the trouble to make things interesting for the audience, the audience will be impressed. Another no-no seems to be to say “To Summarize…” at the end of the presentation!